This location of Leigh & Harlow served as the prototype design for a series of fashion retail stores in Toronto. 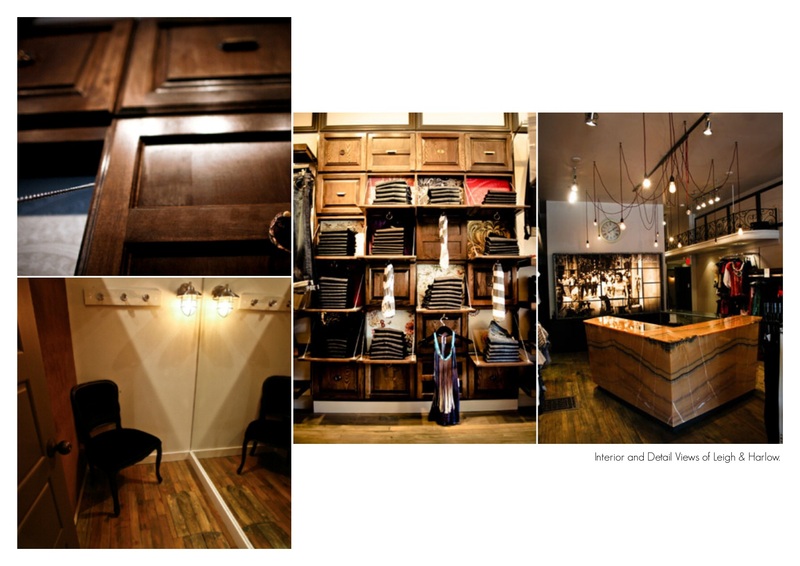 Located on the trendy shopping area of Queen St. West, this store called for a distinct design flavor. The concept for Leigh & Harlow is meant to tell the love story of two war time sweethearts through a space that evokes an eclectic feel of that era. With custom designed wardrobe wall fixtures, raw hanging light bulbs, and reclaimed warehouse windows, the space gives the feeling that you are poking through the contents of this couple’s closet, and not a present day fashion boutique. The first of now three stores, Leigh & Harlow Queen Street was created on a tight budget, which created challenges in the design process. The finished product, however, was a success and will continue to be recreated another 2-3 times throughout eastern Canada.